A processing of a set of LRGB frames taken during seeing of 0.4" to 0.9 " at CTIO. 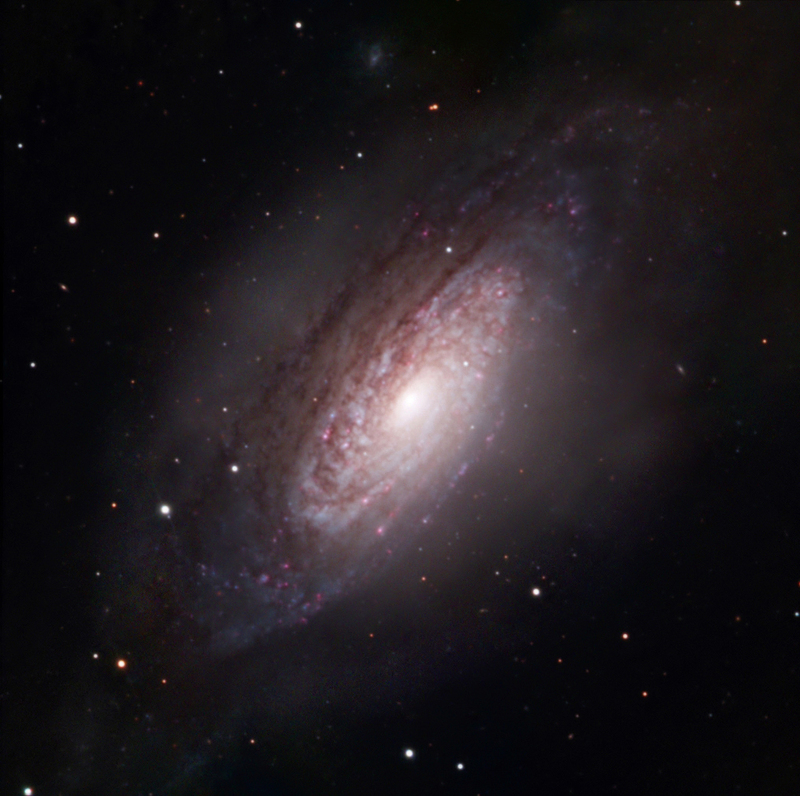 Located on the celestial equator in the "head" of Leo - The Lion - this impressive galaxy is both large and bright and could have been easily seen by Messier. It has a very bright, almost starlike core from which material appears to be ejected perpendicularly to the galaxy plane into a prominent halo. NGC 3521 lies 30 million light years distant. This field of view is 10 x10 arcminutes.